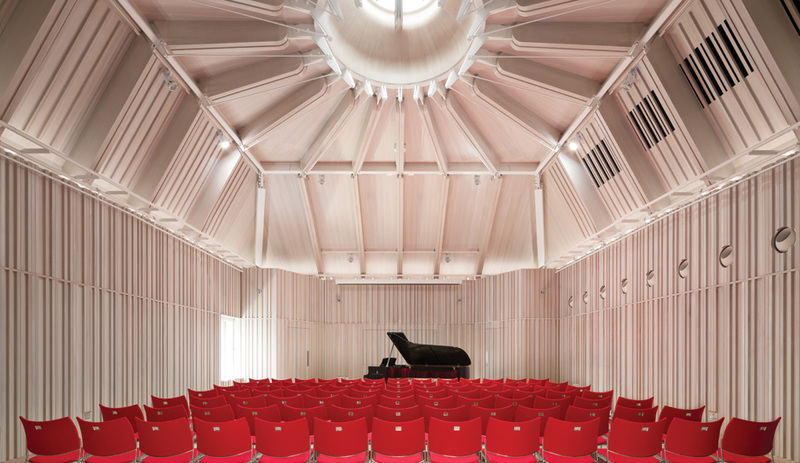 What will architecture look like in 2013? A slew of innovative projects are nearing completion over the coming months. Here are just 10 envelope-pushers that are on our radar. 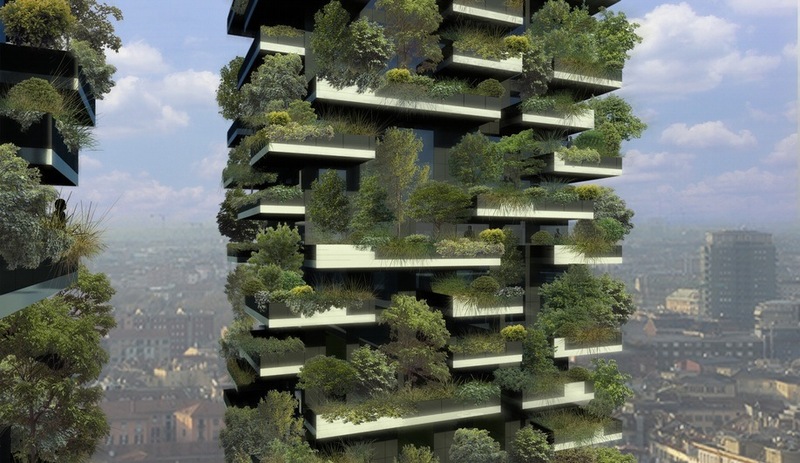 Bosco Verticale – Italian for vertical forest – is a pair of residential towers in Milan that will be planted from top to bottom with over 900 nine-metre-tall trees. 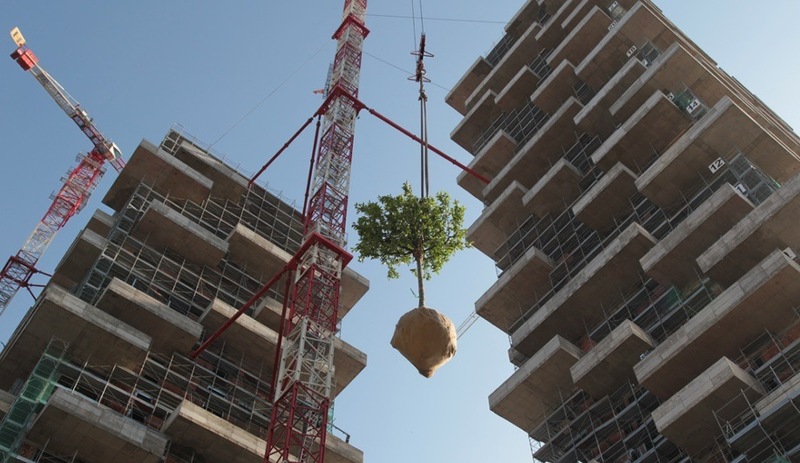 The smog-scrubbing project, with its deep balconies designed to house the trees, has been under construction since 2009. The towers were topped off in early 2012 and are now starting to take on their greenery. When finished, they will up the development’s biodensity by the equivalent of a 10,000-square-metre forest. This stretch of real estate along Oslo’s waterfront, which is midway through a decade-long revitalization, derives its name from a row of long, narrow blocks at its core, and which collectively resemble the ubiquitous merchandise symbol. Winding across the district, perpendicular to streets that divide the blocks, is a pedestrianized corridor that’s based on a plan (pictured above) by Lund Hagem Arkitekter. Snøhetta‘s opera house kicked off the development with a splash in 2008, and Rotterdam’s MVDRV‘s pixelated office tower and Renzo Piano’s Astrup Fearnley Museet followed last year. 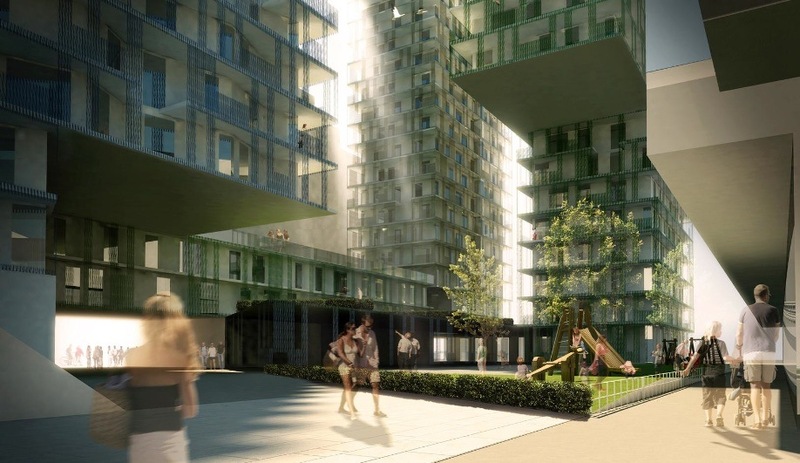 New commerical, residential and multi-use towers by Norwegian firms a-lab, Dark Arkitekter, Solheim + Jacobsen Arkitekter and Snøhetta are headed for completion later this year. Since 2010, Todd Saunders has constructed four striking artist retreats on Fogo Island – angular cabins whose stark walls stand in beautiful contrast to the rugged Newfoundland terrain. 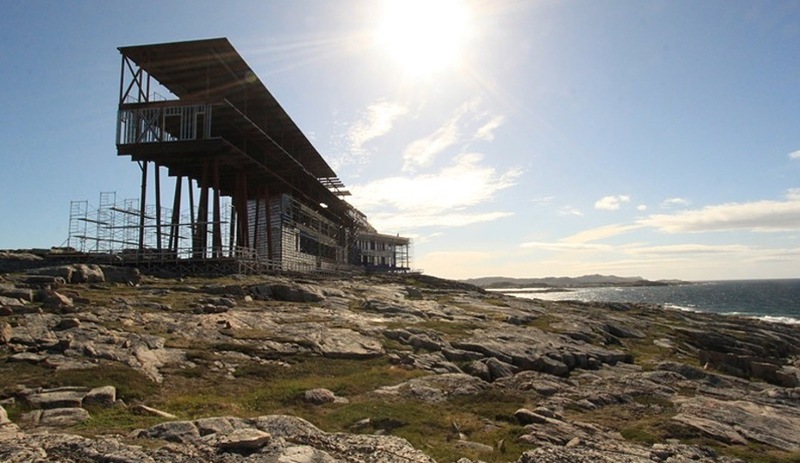 This year, the island will see the completion of the fifth of his Fogo structures: a five-star inn with 29 guest chambers, restaurant, sauna and even a small movie theatre. The X-shaped inn will continue the cabins’ striking juxtaposition of architecture and landscape. Leave it to Dame Zaha Hadid to take something as prosaic as a parking garage and turn it into a futuristic sculpture. 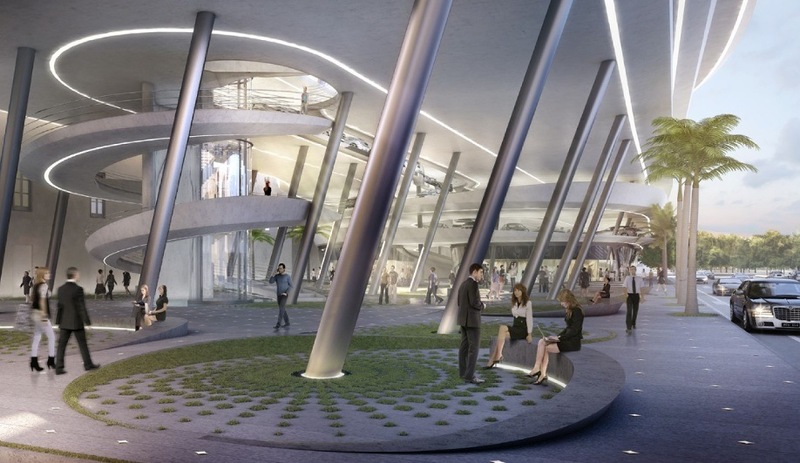 But why drop an ugly utilitarian building into the middle of an upscale Miami district packed with cultural buildings – including one starved for parking? By integrating retail into the ground level, Collins Park Garage is expected to become a destination in itself. 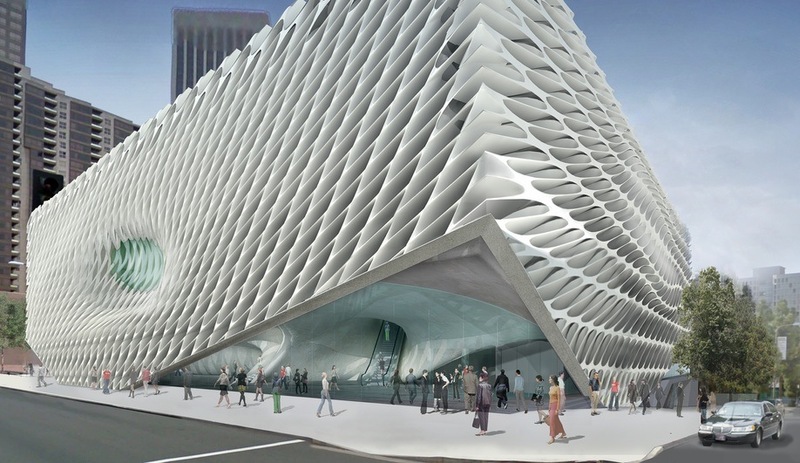 Although it’s still identifiably an open-air parking structure, it’s designed to integrate with its chic surroundings. 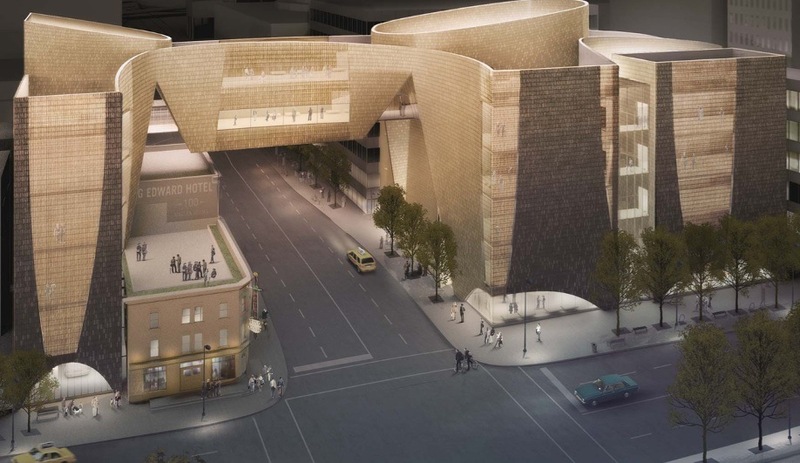 Harmoniously melding massive volumes and sinuous curves, the National Music Centre in Calgary will strike a chord between functional spaces and architectural rhapsody. Inside, the centre’s many blocks will house a museum, two performance theatres, an education centre, a recording studio and a broadcast centre. Though essentially grid-based, the complex’s boxy forms are wrapped in curving tiled walls that twist like a dancer’s skirt. From various vantage points dotted throughout the echoing glacier-inspired crevices, visitors will gain confounding views of winding canyons that change from every angle. Visitors should instantly see, hear and feel the emotional and practical benefits of Porsche – that was the challenge put to HOK when developing the brand’s new Atlanta HQ. 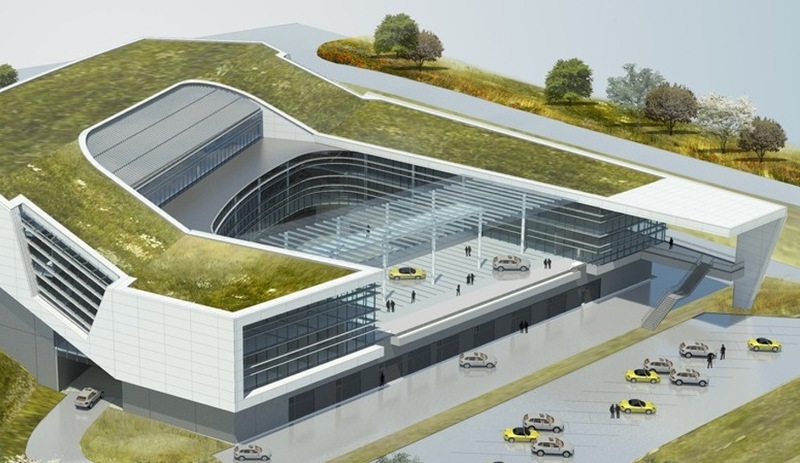 That brief led the team to focus on the structure’s high-performance aspects, a building that will house 400 employees, a service centre and an integrated road handling track. 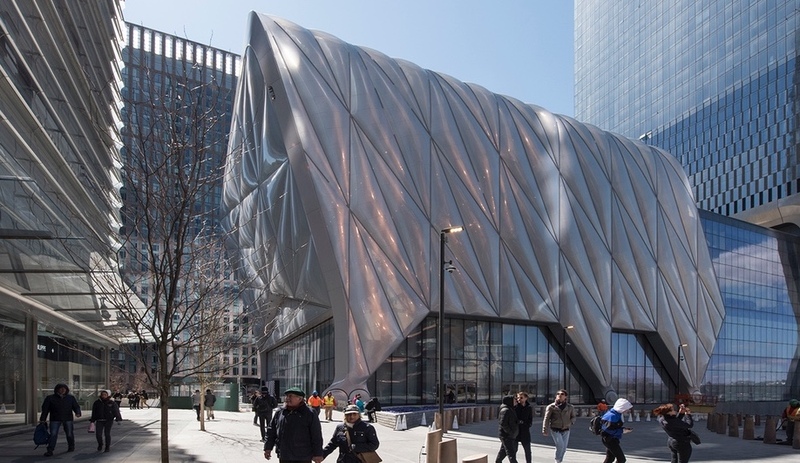 A high-efficiency building envelope and green roof, together with on-site energy generation, put the 18,600-square-metre structure on track for LEED Silver certification. Appropriately, the structure is expected to hum with a motor’s energy, thanks to subtle references to a racing aesthetic integrated throughout the complex. Working human-scale sanctuaries seamlessly into dense urban fabric is something of a speciality for DSR, and the Broad is no exception. Its two main functions – an archive and a public exhibition space – determine the Los Angeles building’s form. 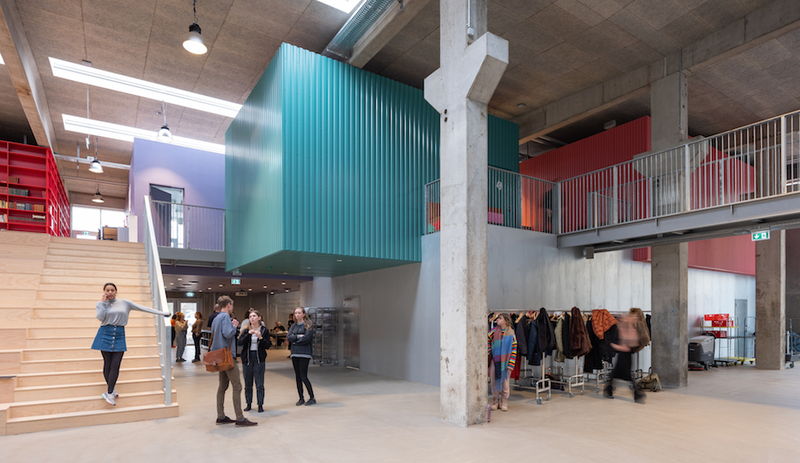 The “vault,” a windowless block hovering in the building’s midsection, shelters the lobby and cafe below and acts a plinth supporting the light-infused exhibition space above. The whole structure, above and below, is draped in perforated veil that lifts at the corners to invite pedestrians inside and liberate the sidewalk – exemplarily of the firm’s sensitivity to the city’s street life. On a site just north of downtown Toronto, the Aga Khan Museum will be part of a larger complex that will eventually house a new prayer hall and a formal Islamic garden. Fumihiko Maki’s guiding concept for the museum, also designed for a collection of art and artefacts from Muslim civilizations collected by the family of the Aga Khan, is a celebration of light, incorporating materials with different light-reflecting and transmitting qualities to create ever-changing effects. 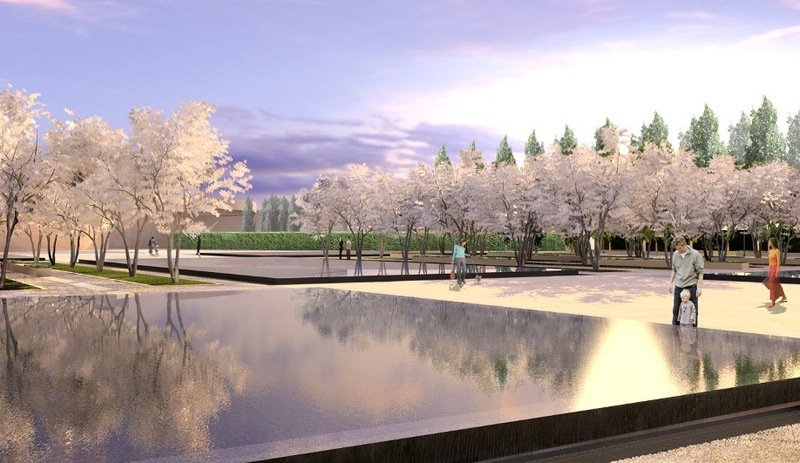 Vladimir Djurovic Landscape Architecture’s serene surrounding gardens, designed in collaboration with Moriyama & Teshima Architects, will be a new green landmark for the city. 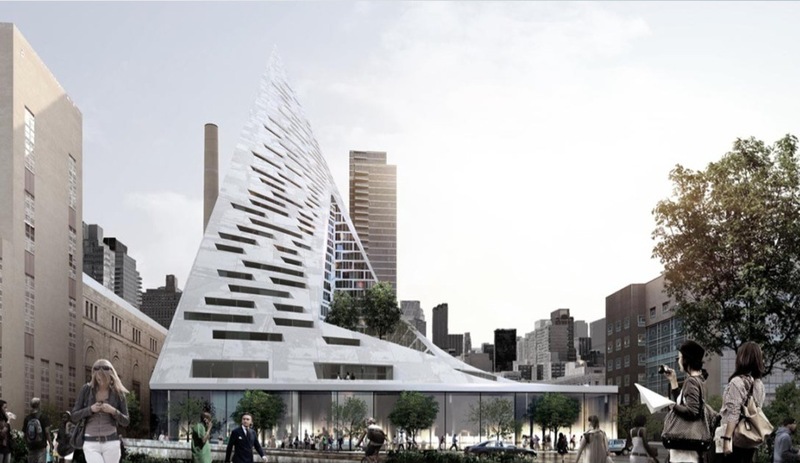 Combining the European model of the perimeter block – where low-rise rowhouses on four sides shelter an interior courtyard – and the popular North American high-rise, Bjarke Ingels of the Copenhagen firm BIG has created a gestural residence that enjoys the benefits of both. The structure is set to capture a sense of intimacy at street level and airy seclusion near the spire. Positioned facing the Hudson River to maximize southern exposure, the tower offers every apartment an spectacular view of Manhattan and a spacious terrace from which to take it all in. The Yellow River has been called the cradle of Chinese civilization, with a winding path that has changed course several times over the past centuries. 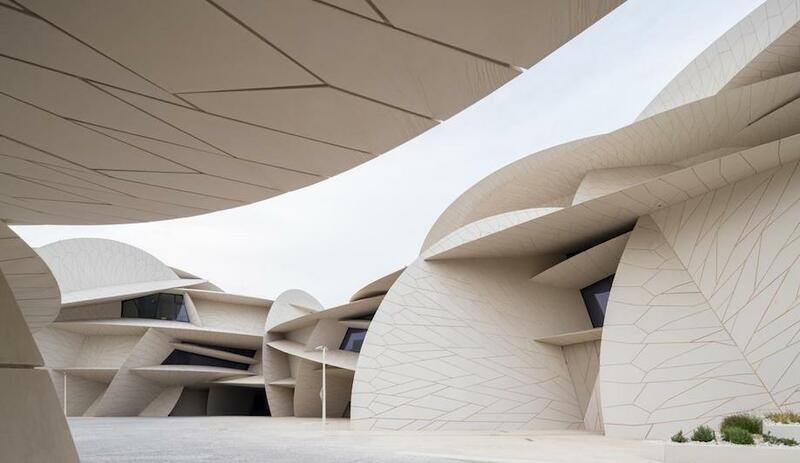 WAA’s arts centre, now under construction, is located on the river’s wetlands and its form is inspired by the geology of the area – an undulating facade that mimics layers of sediment added and eroded over the area’s long history. 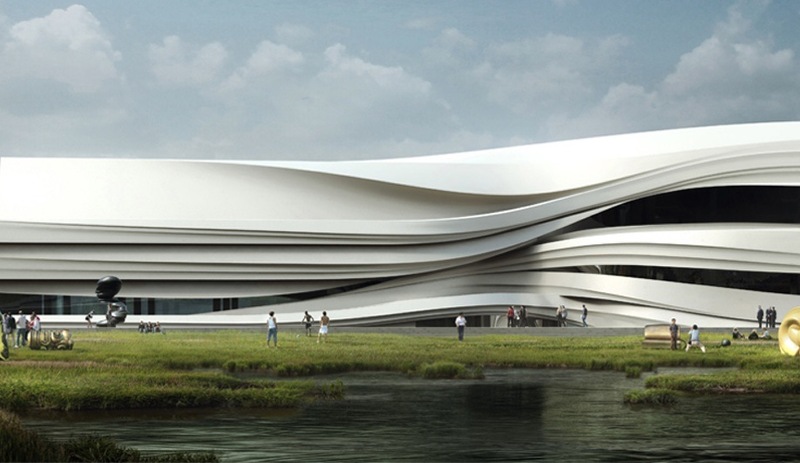 The Yinchuan Art Museum is the first new structure in the area and it will eventually form the cultural hub of a planned community, housing various galleries, a lecture theatre, a library workshop and classrooms located at different levels.